We’re running a bit late with our weekly casefile…not unlike Bond at the beginning of this adventure! The Mission: Having faked his own death to escape the frequent attempts on his life by SPECTRE assassins, Bond is free to investigate new leads. When Russian and US spaceships begin being hijacked in space tension mounts between the two nations. MI:6 deploys Bond to Japan to follow up reports that the stolen crafts are being landed there. 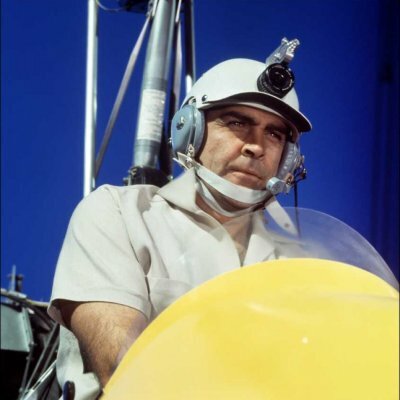 Gadgets: Q is on location once again to supply Bond with Little Nellie (see below) and a helmet mounted camera. Bond is also equipped with a safe cracking device early on the film, and then is supplied with suction knee caps and a rocket firing cigarette by Tiger. Sidekicks: Tiger Tanaka, the head of Japanese Secret Service, assist Bond throughout his mission. Dikko Henderson acts as a contact when Bond first arrives but he doesn’t last long. Wait…what did they need Bond for? The Girls: Aki is one of Tiger’s agents who guides Bond through Japan and they form a close Bond before she is assassinated. Kissy Suzuki then steps in, marrying Bond as cover for his investigations. 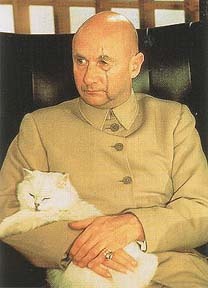 The Enemy: Ernst Stavro Blofeld, head of SPECTRE. Evil Plot: Blofeld has developed a rocket that flies into space, swallows other spaceships and then lands back at the base. Blofeld is using this to drive the USA and Russia into a devastating conflict from which SPECTRE can emerge as a new world power. A plan so damn awesome that Sebastian Shaw used it in X-Men First Class. Distinguishing Features: Blofed is the Bond villain, and the inspiration for every spoof villain up to and including Dr. Evil. Bald, heavily scarred across his right eye and always with his cat. 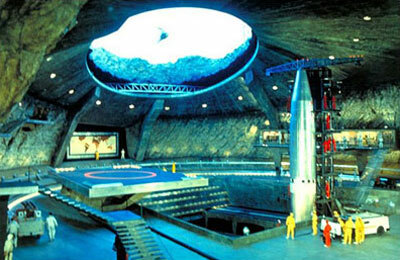 Secret Liar: A world class villain deserves a world class secret liar – a rocket base hidden inside a disused volcano! Henchmen: Mr. Osato runs the business front for SPECTRE in Japan, and is assisted by his secretary/assassin Helga Brandt. Closer to hand is Hans, the quiet, giant blonde bodyguard. Politically Incorrect Behaviour: “Why is it that Chinese girls taste different to other girls.” Just…wow. Notable Firsts: Blofeld becomes a real screen presence for the first time and will continue to be the primary opponent for the next two movies. Random Trivia: The sequence involving Little Nellie proved immensely difficult to shoot, with the Japanese government not giving permission for them to film explosions meaning that part of the scene had to be moved to Spain. That was the least of the crews worries – a sudden downdraft lead to a cameraman having his foot severed. Theatre actor Jan Werich was cast by the producers to play Blofeld, however director Gilbert disagreed with the choice claiming he looked like a “poor, benevolent Santa Claus”. The part of recast with Donald Pleasence in what became an iconic role. When the usual screenwriter was unavailable Ian Fleming’s close friend and legendary children’s author Roald Dahl was signed on. Declaring that the book was one of Fleming’s worst he build the plot from the ground up. 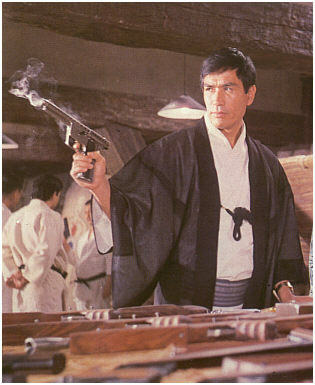 You forgot to mention Bond’s completely unconvincing Japanese disguise. Is Harley Quinn a Sympathetic Character?